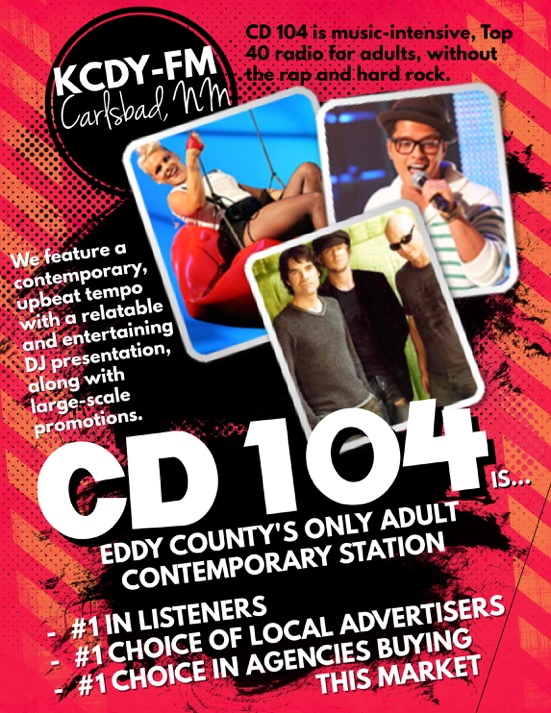 CD104 is Eddy County's only adult contemporary FM station. It features a high energy variety of music from the 90's and now. It's a great mix of music, which has attracted an extremely loyal Audience for more than 20 years. Easily the #1 choice of local advertisers and agencies representing regional and nation advertisers. CD104 has more listeners - More Audience - More Energy - More Fun and More Advertisers By Far than Any other station in the Eddy County.